Under Florida’s dangerous instrumentality doctrine, the owner of an inherently dangerous tool or instrument is liable if that tool or instrument is not used responsibly. For example, Florida law considers automobiles dangerous instrumentalities. If a car owner lends her vehicle to a friend, and the friend drives negligently and causes an accident, the owner is on the hook for any resulting injuries (the friend driving the car can also be found liable). While the dangerous instrumentality doctrine is most closely associated with motor vehicles, there are other instruments that fall within the doctrine’s scope. Examples include aircraft and golf carts. In October 2015, a state legislator introduced a bill that would have classified drones as dangerous instrumentalities, subjecting both owners and operators to liability for injuries caused by any negligent drone use. But the measure never became law. In 2012, the Florida Supreme Court held that a farm tractor is not a dangerous instrumentality under Florida law. The dangerous instrumentality doctrine has its roots in common law, which means that it was derived in the courts and not in the legislature. 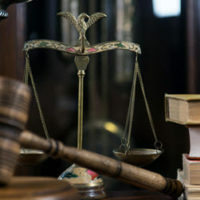 The doctrine has been modified over the years to account for new dangerous instrumentalities and to consider new exceptions to the general liability rule. For example, decades ago the Florida Supreme Court held that car owners who only possess bare legal title cannot be held vicariously liable under the dangerous instrumentality doctrine. In that case the negligent driver had already submitted a down payment, signed a conditional sales contract and taken possession of the vehicle. The car dealership “possessed only naked legal title in the vehicle as security” and could not be considered an owner under the dangerous instrumentality doctrine. This is called the beneficial ownership exception. In 2014 the court considered whether an individual whose name is listed on the car title as a co-owner can be held liable when he never intended to be the owner and in fact relinquished control to the other co-owner. The court decided not to extend the beneficial ownership exception to this scenario and held that both co-owners were liable. As you can see, there are numerous situations in which the dangerous instrumentality doctrine can be a factor in your personal injury lawsuit. An experienced attorney will understand the various exceptions and help you craft your legal strategy. Contact a Jacksonville personal injury attorney at The Pendas Law Firm today for a free consultation if you are injured by an inherently dangerous instrumentality, like a car. We will determine who can be held liable for your injuries and help you recover the compensation that you deserve. The Pendas Law Firm also represents clients in the West Palm Beach, Orlando, Miami, Fort Lauderdale, Fort Myers, Tampa, Daytona Beach and Bradenton areas.